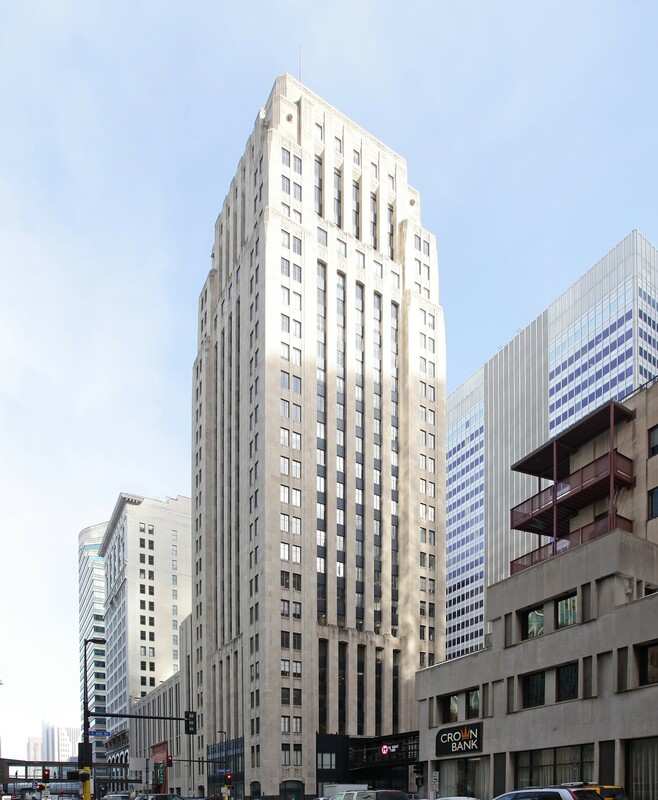 Rand Tower in downtown Minneapolis has sold for $18.65 million. The 26-story tower was purchased by Chicago-based Maven Real Estate Partners, which owns mostly multi-unit housing complexes in Chicago and Minneapolis. Portland-based Felton Properties Inc. was the seller, according to a Tuesday release. “Rand Tower falls more in line with Maven’s operating structure, and they have local people here on the ground to manage the properties themselves,” said Dave Berglund, vice president at Colliers International and the broker who piloted the deal, in a statement. Rand Tower, which is 23 percent vacant, will keep its existing tenants, but some of its empty space will be converted into co-working and incubator space as it becomes available. The building is located on S. Marquette Avenue and S. 6th Street. The art deco style building was built in 1929.